Who was the Khubilai khan? Kublai Khan (1215-1294), Mongol military leader, founder and first emperor (1279-1294) of the Mongol Yuan dynasty in China, grandson of the Mongol conqueror Genghis Khan and his best-known successor. Kublai Khan completed the conquest of China that was begun by his grandfather. From 1252 to 1259 he aided his brother Mangu Khan in the conquest of southern China, penetrating successfully as far as Tibet and Tonkin. Upon the death of Mangu in 1259 he became the khan, or ruler. 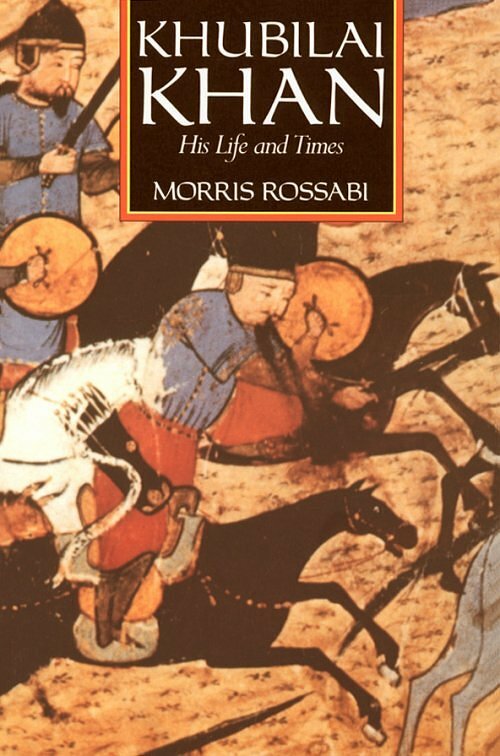 Between 1260 and 1279 he succeeded in driving the Kin Tatars out of northern China and in subduing rebellious factions among the Mongols. In 1264 he founded his capital on the site now occupied by Beijing; it was called Khanbalik, which is romanized as Cambaluc or Cambalu. He relinquished all claims to the parts of the Mongol Empire outside China, consolidated his hold on China, and in 1279 established the Yuan dynasty as the successor to the Southern Song dynasty. He undertook foreign wars in attempts to enforce tribute claims on neighboring states, conquering Burma (now known as Myanmar) and Korea. His military expeditions to Java and Japan, however, met with disaster. His name was known all over Asia and also in Europe. The court at Cambaluc attracted an international group of adventurous men, including the famous Venetian traveler Marco Polo. 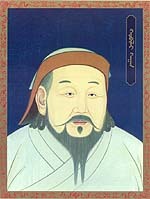 Kublai Khan did much to encourage the advancement of literature and the arts. He was a devout Buddhist and made Buddhism the state religion, but during his reign other religions were also tolerated. Where he from? What he did? *Chingis Khan's ablest grandson; founder of the Yan dynasty; first northern alien to rule all China. -tried to conquer Japan twice (1274 and 1281) with massive naval assaults. But failed. -made Tibet, Burma, Siam, Annam (in northern Vietnam), and Champa (in Southern Vietnam) tributary vassal states. 4.South Chinese (former subjects of Southern Sung, 75%-80% of the total Yan population). -Chinese humiliation: forbidden to bear arms, to learn the Mongolian language, and to assemble in groups; required to scrape and bow to Mongols and all other non- Chinese.